It was a special and memorable evening for mothers to discover the love their children have for them though they never express with words and actions. We are grateful to have these children appreciate and love their mother. Don’t forget to hug and tell how your mother how much you love her. Always remember how much she has dedicated her life in nurturing you and guarding the family wholeheartedly. All mothers are special and unique. Wishing all SuperMama around the world a Happy Mothers’ Day! As a doctor ensuring everyone’s health, as a chef cooking wholesome meal, as a cleaner doing housekeeping, as a teacher giving guidance in homework, as a mentor in giving mental support etc. No other people able to handle these tasks alone but a Mother, who willing to dedicate her time and life in protecting her family and home. Mother plays an important role in managing a home, ensuring everyone is healthy, happy and home is peaceful and harmony. A home is never complete without a Mother. In this special month of Mother’s, we give our utmost salutation to every SuperMama out there who are selfless, caring and loving, and wishing every SuperMama a Happy Mother’s Day! They have earned a special Mother’s Day gift for their mom this year, by writing how much they appreciate their mom’s dedication and love towards their family! 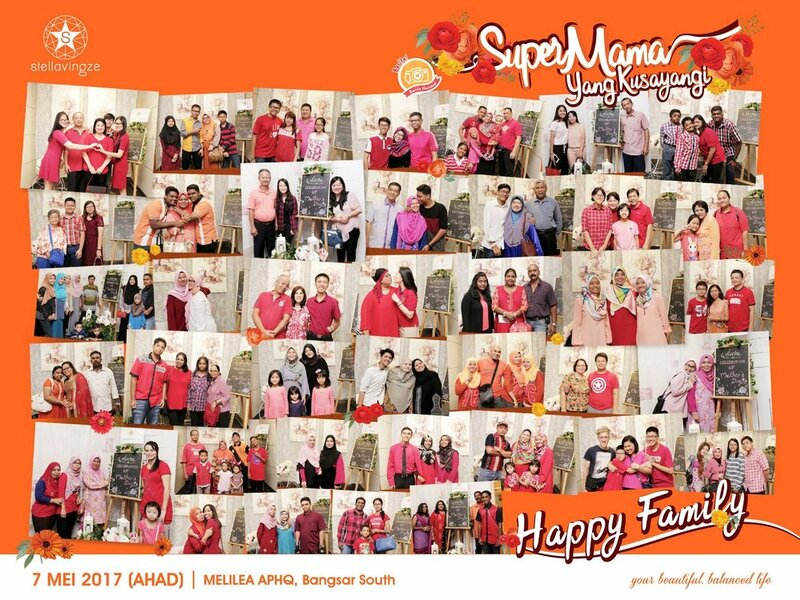 We know each SuperMama feel touched and warm when they get to know that their lovely child put such effort to make their Mother’s Day special. Congratulations once again and don’t forget to hug and tell your mom how much you love her everyday! 8th March is a day remarks the contribution of women towards the economy and nation development! We are blessed to have 300 ladies from all walks of life joining us to talk about ladies criteria and potential, encouraging each other to keep moving on! We ladies are multi-tasker, we are able to do more than we thought! Learn to manage your time and personal value, and be a shining StarLadies! 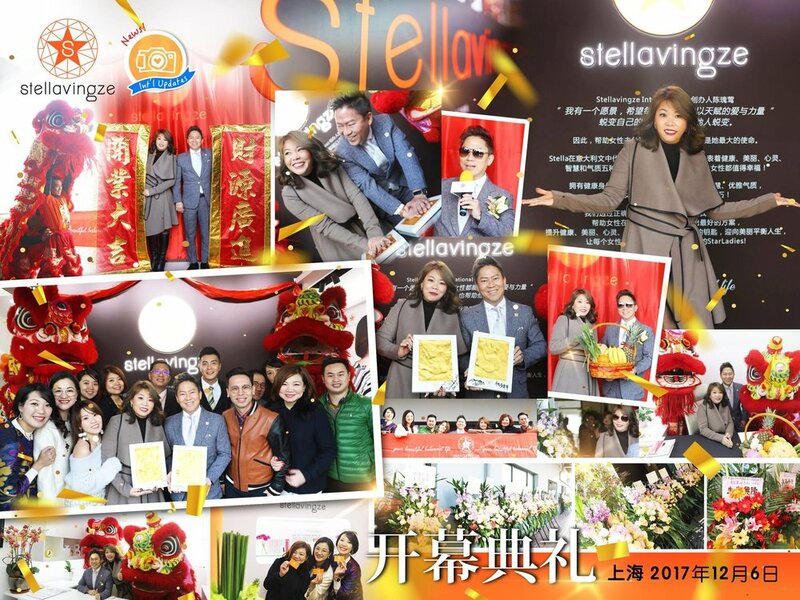 Stella is the role model of new era women, not just in achieving balance in career and family, but too a new era of women's model. She is also a great example in possessing an overall complete character with charm, wisdom, mind, health and beauty. In StarLadies, we believe every women should follow the trend of modernization but secure the traditional qualities, achieving a overall complete StarLadies! 9/4 guests wearing classical dress, melody of classical retro music playing whole night, with fascinating and charming stage performance, bringing us back to the old shanghai night as how was dream. Ladies possessed the confidence and beauty of new era women, with a hint of elegance and charm of traditional culture. Remember what Stella said, feel everyday to welcome happiness. So Sisters, let the charm within you shine brightly, with confidence, everyone is the brighter StarLadies! 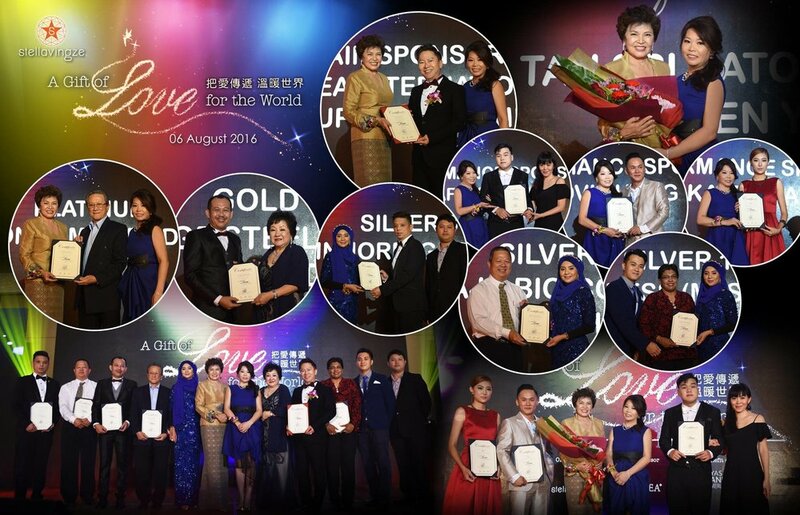 It was a beautiful end for 6th Aug [A Gift of Love for the World] Fundraiser Charity Dinner! Many thanks for our honorable guests for joining us together in this special night organized by Stellavingze International and Yayasan Wanita Cemerlang, Tan Sri Dato Sri Dr Ng Yen Yen, Founder and Patron of Yayasan Wanita Cemerlang , JP Datuk Dr Alan Wong ,Founder Group Chairman of Melilea International , Datuk Abu Samah , Datin Noor Faezah , Datin Rosalind – Founder and Advisor of Yaysan Wanita Cemerlang , Datuk Danny Tan. 6th Aug marks a date when Founder of Stellavingze International officially accepts the appointment as President of Yayasan Wanita Cemerlang, a date when Stellavingze International will starts to contribute in social responsibilities, and building a nation with women of excellence. Much love received and we shall share the love to the world now. This event will not be a success without all sponsors, contributors and donors who supported with generous donations and sponsors. Special thanks to all performance sponsors in delivering such beautiful inspiring performances for our guests on 6th Aug! Not forgetting the silver, gold and platinum sponsors in your generosity! Mega thanks to all sponsors, patrons and contributors for your generosity in providing support to those in need, especially the 6 beneficiaries bodies benefited from 6th Aug Charity Dinner. We hope all beneficiaries able to put all fund in good use, in providing better facilities and services to their residents, building a better living environment and skill training supports for the children and elderly. Greatest salutation to all founders and coordinators of welfare centers in providing a shelter, a skill training center and care to those in need. Truly "Giving Wholeheartedly, Helping Sincerely". We hereby welcome all kind hearted ladies out there who wish to contribute to the society, to join us as our Volunteers, in delivering support, love and care to the needy, building a society with love! For more info about Volunteer, call Alice at 016-2286204.